Arm kit with adjustable height and width arms is designed for use with HON 7400, 7700 and 7900 series chairs to add arm support. Each arm is independently adjustable in width or height. Arms are color-matched to the base, pedestal and casters. Frame is made of monochromatic steel with built-in arm pad. Pad length is 7-1/2". Pad width is 3-3/8". 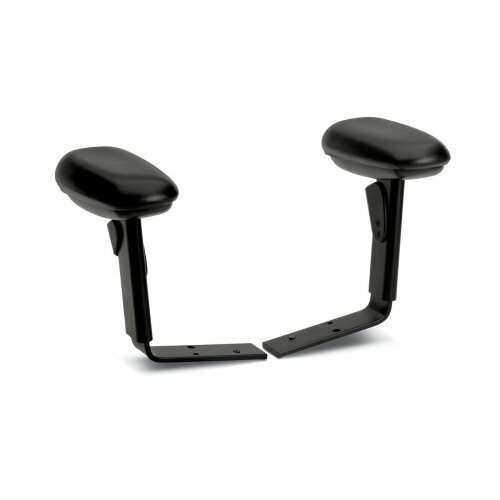 Width between arms measures from 18-1/4" to 20-1/4" depending on chair (sold separately). Arm height from seat is 7" to 9-1/4" depending on chair.